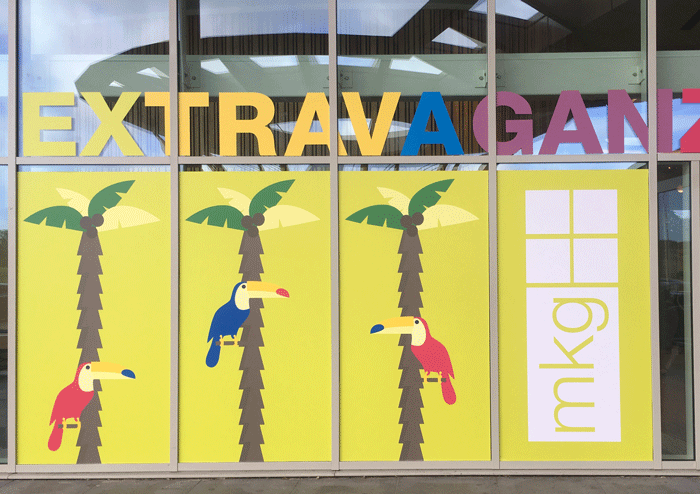 Each year MKG Foods holds its annual MKG Extravaganza, a big event that gathers together their suppliers and clients. It’s not only a valuable sales opportunity for the company but it also represents a significant proportion of their marketing spend. 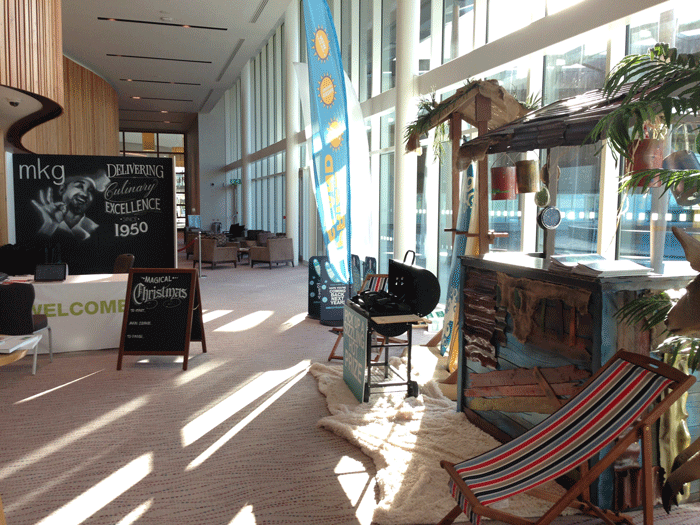 Over the years we’ve masterminded many themes for the event, most recently, due to a move to August in 2014, we’ve travelled the world with our themes for the past few years, from the Caribbean to Australia and Brazil! 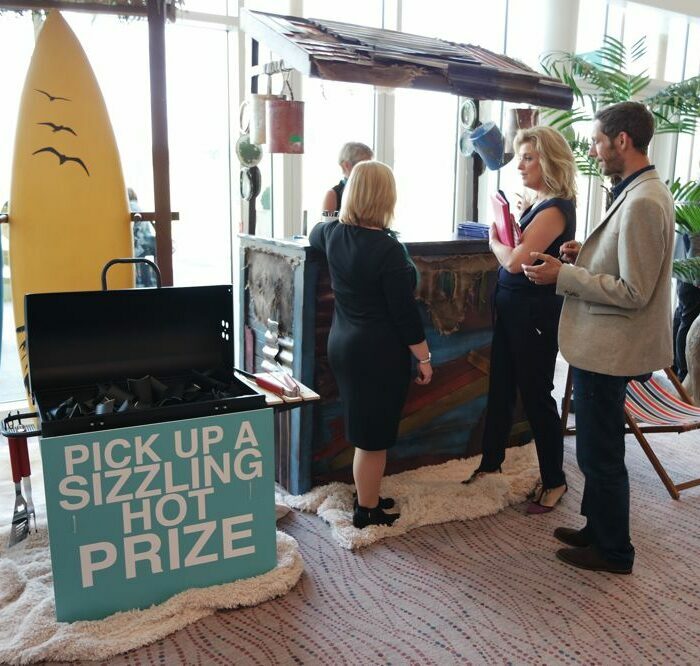 On the day as guests join the queue to ‘check-in’ at the reception desk they are entertained by things as varied as a Caribbean band or a football skills display. 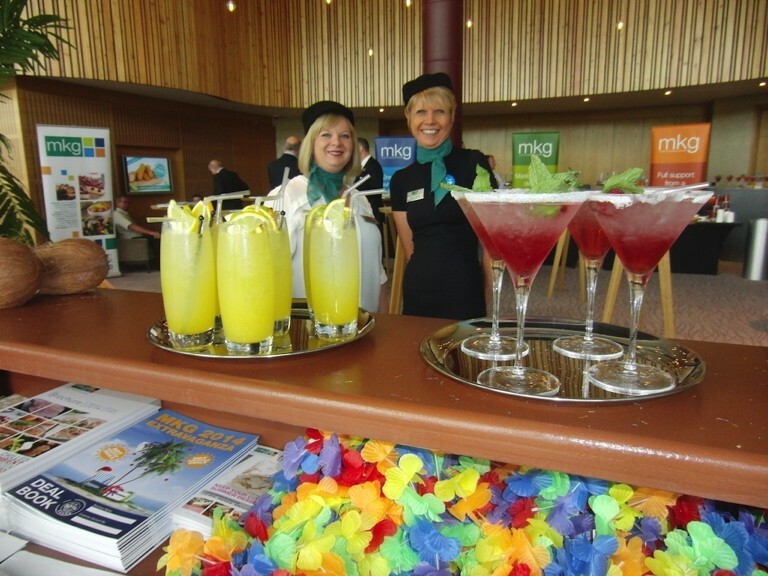 After check-in guests are invited to have mocktails in the lounge while they wait to go through the boarding gates to our tasting event. During their trip guests collect stamps of the ‘places’ (food booths) they visit and then trade their completed card for a dip in the mystery treasure chest at ‘Prize Island’. All great fun and guests and staff thoroughly enjoyed themselves but most importantly each year has been a record breaker in terms of both attendance and sales. 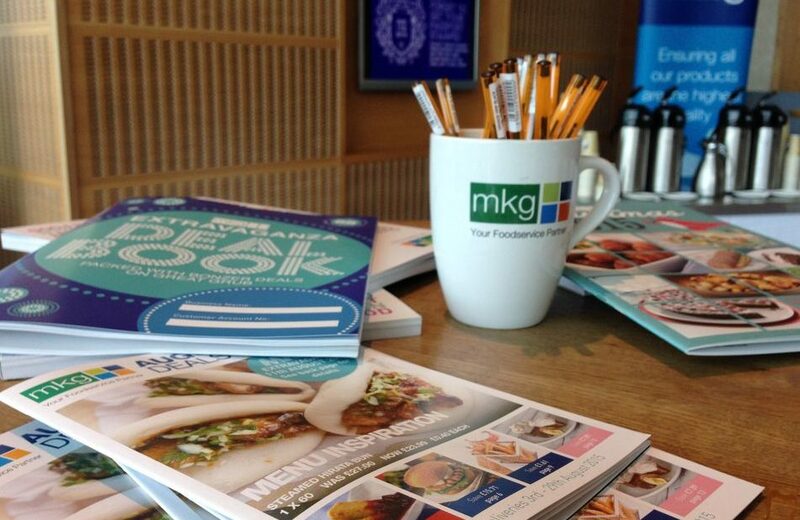 Having worked with MKG on this event for many years we’ve been able to help it grow in size and stature with increased focus on positioning MKG as the champion of small food businesses including helpful tips, industry guests and making the most of MKG’s wealth of experience.